Beginning Sunday, March 5 at 10:00AM, TCM will be debuting a new weekly film noir showcase, which will be hosted by the Czar of Noir Eddie Muller, formerly the host of TCM's 2015 Summer of Darkness and here lately the host of on-air spots for the TCM Wine Club. 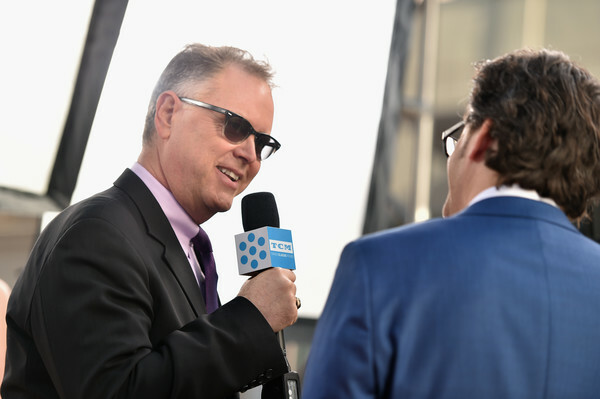 TCM hosts Eddie Muller and Ben Mankiewicz in conversation at the 2016 TCM Classic Film Festival. Didn't they used to show noirs on Sunday mornings years ago? Or was that AMC? That's right -- it used to be called Darkness After Dawn. This is basically a resurrection of that. I think an ongoing series on TCM that features classic film noirs (films noir?) is a great idea.There seem to be a lot of noir fans who follow TCM, and there are lots of lesser-known but worthy noirs that could use a little attention drawn to them. And icing on the cake is Eddie M. to introduce them. But ! I hate to be one of those people who complain about TCM scheduling, and I'm also aware that many, maybe most, people don't watch the station live but record whatever they're interested in, so the actual time and day that a film is aired doesn't matter to them. "That said", I have to wonder why they picked Sunday mornings for this new noir series. If there's any time that seems particularly UN-noirish, it's Sunday morning. Why not pick a Friday or Saturday night slot? If TCM wants to air more popular, well-known movies in "prime time", fine; they could program the noir feature for late afternoon or late night ( like, 11 or 12), which strikes me as a much more appropriate time for noir, at least in terms of mood. Anyway, I guess that's just a quibble. I'm happy they're doing this at all, and will just have to resign myself to watching film noir Sunday mornings. I just hope those mornings won't be sunny. SHEESH. 10am SUN mornings? I wont be watching! (not even out of bed at that hour) So much for TCM's interest in the series. Will Tiffany be co-hosting? While I'm glad they're putting Eddie M. to good use with this type of programming, I can't help but feel it will just be a replay of everything they screened during Summer of Darkness. I'd like to see a few more premieres come our way-- with noir from Paramount, Republic and Universal.
. Will Tiffany be co-hosting? i am not familiar with the last title though. That's a good one, Lorna. Richard Basehart is very good in it, I thought. somewhat tangentionally related, criterion is releasing some new titles, one of which surprisingly(!) 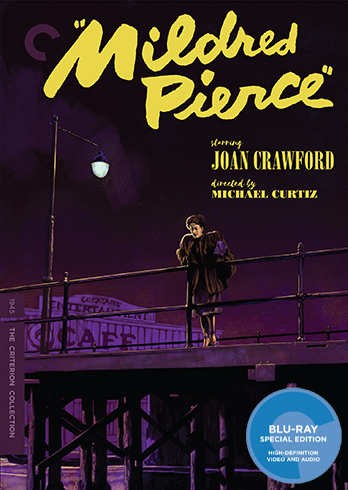 MILDRED PIERCE. They must have picked Sunday morning as everyone who isn't noirish is out at church. I could do a rant about Brute Force not being real noir but will spare everyone the details. 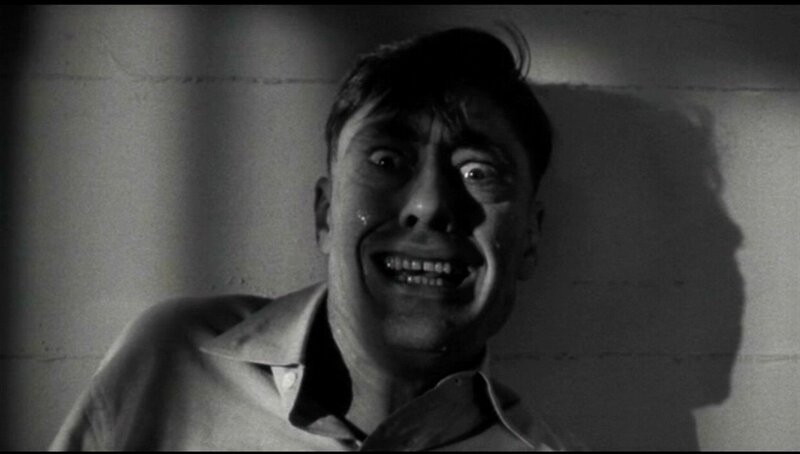 They start off with an awesome one in Detour, but Brute Force is dreck by comparison. He Walked by Night is a 1948 police procedural film noir (but much more a police procedural than noir). Still it is a nice thriller with Richard Basehart as the killer giving a fine performance. Now Hibi. No offense here, but aren't you a little long the tooth to still be out partying with the gals so late into Saturday nights?! I may not be out partying, but I still stay up late!!! Pretty much the hours I keep too. And, with partying on Saturday nights being pretty much in my past, also. life is one big Rave from 5:30 Friday to whenever you pass out Sunday evening, huh? Good for you. That's the way to do it. I've always been seized by the impulse to call him Czar of Noir, "Crazy Eddie" Muller. He's just always had that kind of "Crazy Eddie" vibe for me. Not the frenetic, OTT, demonstrably nutters kind of "crazy". More a low key, quietly insane, subtly mad, killer-next-door sort. Bet it's informed by his San Francisco roots. LOL. That about sums it up. I have to pace myself. Great time. I'll be sleeping the sleep of the innocent at 10 a.m.
Sunday and I'll be missing that repetitive bore at the same time. Nope; Debbie Gibson will be the co-host. Yeah, well...in that regard, the rubber hose doesn't help much either, ya know Fedya!